The event is considered to be one of the most important R&D&I activities in Europe and the world. In its 2017 edition, Chile will be included as a EUREKA associated country, becoming the first Latin American country to join the network. Viña Concha y Toro is one of the five companies that will represent Chile at the event, and the only one from the wine industry, standing out due to the international prestige of its wines and its Center for Research and Innovation that was inaugurated at the end of 2014. Santiago, May 2017. Only 5 Chilean companies will represent the country during Open EUREKA Innovation Week 2017 (OEIW), one of the most important innovation and networking events in Europe and the world, held in Barcelona on May 15 to 19. The national call for participation was made by CORFO, which included Viña Concha y Toro in the delegation that will represent strategic industries with high growth potential in Chile. It is also the only Chilean wine company to be present at the event. The initiative is organized by EUREKA, a European intergovernmental network supporting R&D&I, made up by more than 40 countries from across the continent. The 2017 edition of this event is particularly relevant for Chile, as it will formalize its role as an associated country of the network, becoming the first Latin American country to join. Its inclusion forms part of one of the key priorities promoted by the current Spanish chairmanship to strengthen relations with countries around the world. For that reason, “Chile Day” at the event will be held on May 17, during which the country’s innovation policy and opportunities to invest and develop projects together with Chilean companies will be presented. Then, participating Chilean companies will give presentations on their offerings and main challenges to an audience of more than one thousand people who attend this open forum, among them SMEs, academics, politicians and financial institutions. Gerard Casaubon, director of Viña Concha y Toro’s Center for Research and Innovation (CRI), will showcase the company’s R&D&I strategy, and how this connects with the Chilean ecosystem. 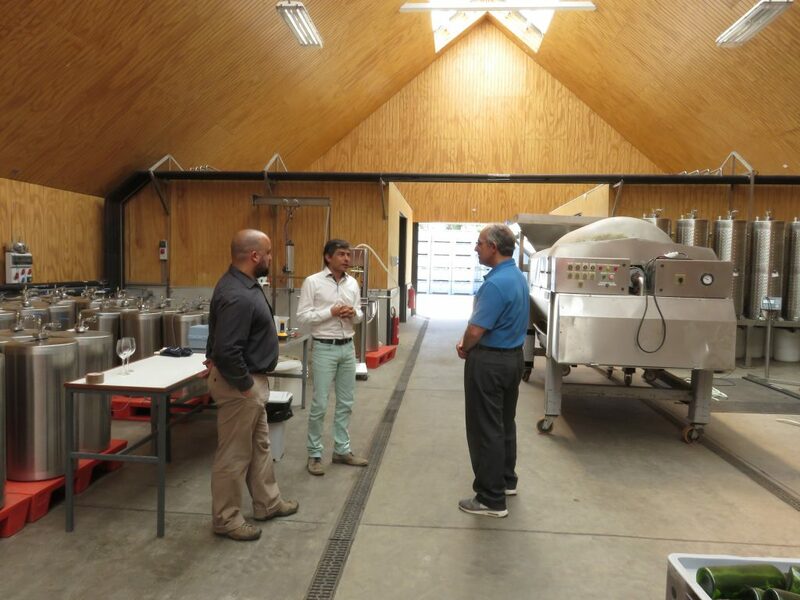 “The Center for Research and Innovation is a specific project that demonstrates the company’s commitment to the development of the Chilean wine industry through applied research, innovation and technology. Being one of the five companies invited by CORFO to represent the country is an acknowledgment of the work that the Winery has been conducting for years, and which at the end of 2014 materialized with the inauguration of the Center,” said Casaubon at the event in Barcelona. During his presentation, the director will outline the Strategic Plan 2020, that includes more than 50 initiatives in 5 main programs: Strengthening the production area of plant materials; Water resources and scarcity management; Quality assessment of grapes and wines; Instrumentation, automation and IT applications; and New products design. “As well as being one of the largest wine companies globally, we want to make it known that we have the appropriate infrastructure, cutting-edge technology and an excellent team, which enables us to generate large-scale projects that will without a doubt have a significant impact on this industry,” notes Casaubon. Open EUREKA Innovation Week is a major event organized by EUREKA that serves as a meeting point to share and discuss ideas, with around 1,000 attendees from the European industry, including SMEs, academics, politicians, financial institution representatives and public authorities, among others. It is considered an open forum, and is free-of-charge for all those interested in R&D&I. Its 2017 edition will be focused on further activating the principle of openness. The OEIW helps to create bonds between companies from different countries to innovate and internationalize their activities. In addition, it is an instance in which companies can learn about EUREKA financing opportunities, and facilitates the exchange of knowledge and best practices. Two years after its inauguration, and having recently launched its new Molecular Biology Laboratory, Gerard Casaubon, Director of Viña Concha y Toro’s Center for Research and Innovation, talks about the Company’s decision to develop this kind major of infrastructure —unique in Latin America— which today presented its initial results..
Molecular Biology Research Scientist CRI. More than 350 experts from all over the world gathered between June 13-18 to address the most recent research on viticulture and grapevine physiology.